The logo of the two production houses UTV and AG Productions of this grand epic marks the beginning of the promo. Then the focus shifts to the brightly burning fire, a wedding scene where you see the groom being seated and bride being brought to the well decorated mantap. The faces of both the groom and the bride are covered and hence we don’t get a clear look at them as you witness them exchange garlands. After this a close shot of Bollywood heartthrob Hrithik Roshan in the attire of the great emperor Akbar (the audience goes completely wild and crazy here. The noise is deafening!) as he utters “hamle ke liyae taiyaar”. Then creeps in a long shot of the huge army assembled with their Kings for a fight. Just then Hrithik is shown performing an act of valor, taming a wild elephant with his bear hands! The structure of the palace and the interiors are just mesmerizing. Then you are taken to the darbar of Akbar. Just then Aishwarya drops a curtain and utters something to Hrithik. Then you witness a group of unhappy and angry muslims as they feel their King Akbar is getting influenced by his hindu wife Jodhaa. After this you witness a traditional hindu culture scene where the wife touches the feet of her husband and the couple are shown near Ajmer Sheriff. The muslim king Akbar is with his wife Jodhaa in a hindu temple. You are once again taken back to the palace and Aishwarya is seen praying to Lord Krishna. Hrithik Roshan from a distance admires her and then slowly walks towards her and gently lays his hand on her head. Then a couple of people are shown planning a conspiracy to kill Akbar. Just then you see an unknown man aiming his arrow at Akbar who is taking a walk in his palace garden. The next scene brings to you a fully armored Hrithik. The promo ends symbolically with Jodhaa written in Hindi (supposedly the language of Hindus) and Akbar written in Urdu (A language supposedly spoken by Muslims). Hrithik and Aishwarya chemistry is truly scintillating. Hrithik taming a elephant. Has to be seen to be believed! Look of Hrithik and Ash. While Hrithik looks Majestic, Ash look every bit a royal prince. In short, the theatrical trailer itself was worth the long wait. 3 months to go for the release and am dying to watch it already. 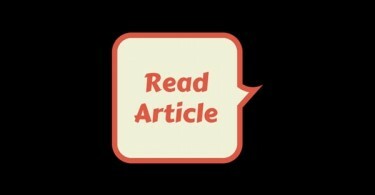 Have a great article to share? Send it to us via the Contact Us form. Dont forget to mention your name, for you are due the credit.